There is a muncipal parking garage located on Brock Street with direct access to Megalos restaurant's backdoor. Kingston Transit offers bus service to the downtown core with multiple stops near Megalos restaurant. Megalos restaurant can cater any event whether it is off site or in our restaurant. Megalos restaurant features a private dining room that can accommodate up to 70 guests for types of functions (weddings, anniversaries, banquets, birthday parties or special celebrations). Megalos provides the ultimate setting with a warm decor, rich fabrics, wood floors and original limestone and brick walls. It is conveniently located in the downtown theatre and shopping district and is only minutes from the waterfront. Concentrating on the freshest ingredients our chef, Chris Barkley, has created a unique menu- redesigning a few favorites while adding some original items. There is a children's menu and a weekend breakfast/brunch menu. Our staff is attentive and knowledgeable and always provides exceptional service that contributes to a memorable experience. Always a great meal and great atmosphere. Great location when going to The Grand. Really enjoyed Megalos! Would definitely go back! Restaurant was very beautiful both outside and in, and service was just the same. Food came quickly, and the server was quite attentive also. The food was delicious, seriously some of the best pasta I have ever had. Can't wait to come back when I'm in Kingston again! We selected this restaurant because of its location. We found the food and beverages to be a little bit on the expensive side for what you got. The service was good. There are a lot of hard surfaces so once it started to fill up it got very loud. The bathrooms are on a lower level - not sure how those with accessibility/mobility concerns would manage. It was theatre night so the restaurant was hopping. Even with such a large crowd we were welcomed warmly, seated promptly and made to feel relaxed and at home. The food never disappoints at Megalos and I tried the Lobster Ravioli for the first time and will definitely get it again. My husband loves the stir fry with noodles and it's his favourite to order when we go to Megalos. For anyone who hasn't tried Megalos it's well worth it! Meal and service was fantastic. We ordered Caesar salad and the steak dinner. Both were fabulous. Would definately recoomend to family and friends and return ourselves. Nice meal. Good service. Pleasant atmosphere. The avocado fries and pizza were delicious and the service was incredible. Will certainly be going back! We enjoyed our dinner celebrating our son's birthday! He chose the restaurant and we were pleasantly surprised. We had been to Megalos several years ago and we were impressed with the improved changes to the menu and atmosphere. Gluten free choices and friendly service. Parking in the multi-level garage behind the restaurant was affordable and convenient! Megalos has great vegan options. We had an event at The Grand Theatre and it is next door! Nice restaurant and great location if going to the Grand Theatre. The food was average, but prices seemed a bit high. The drink menu was a bit pricey as well. Service and environment were great. Food is good, just find it on the pricey side. Staff was very nice. They had everything I asked for prier of arrival. Would definitely go back and try more of their food. This restaurant is highly recommended by my husband, myself, and another couple who dined with us. Megalos has cosy seating. It is a restaurant with a lovely interior, terrific menu selection, and truly attentive service. Tonight, the restaurant was catering to a full crowd, including many going to a performance, next door, at The Grand Theatre. Service consistently outstanding! Megalos is ideal for all special dinner outings, and especially for 'special occasions'! This is one of my favorite restaurants in Kingston. I have serious dietary restrictions but know that I will have a depth of selection that is not seen at most restaurants and I know that the food will taste amazing every time. Alexa greets every guest with warmth and a smile and it feels like she is a family friend. 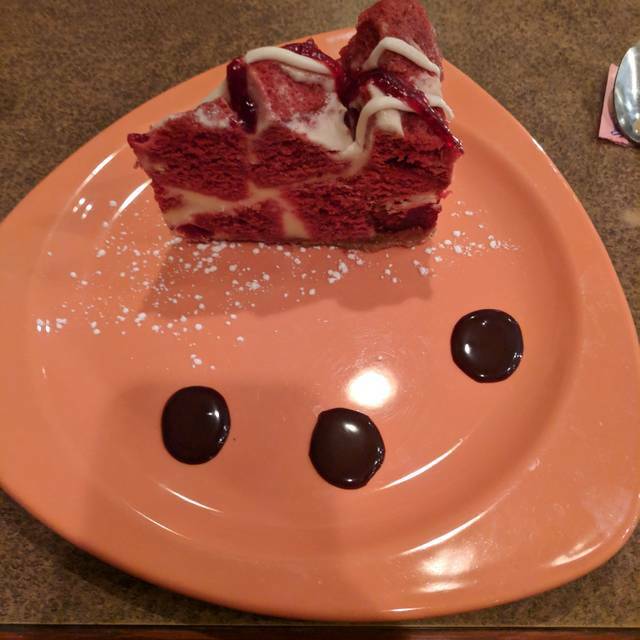 I can literally say I have never had a bad meal or a bad experience at Megalos in the 5 years I have been eating there. They were quick to bring us to our reservation, server was friendly. Food was made quickly considering how busy they were, and was great! Would definitely come again. Good selection on table d’hote menu. Salad and soup were great. Chicken and steak were great. Dessert was disappointing. Wine by the glass selection too limited. Window seat was lovely but the maitre’d stood at his post like a statue staring in our direction most of the time. Overall good experience that was very close to being great. Our visit was generally fine but my chicken was VERY overcooked and dry. You should also have places to hang coats. Fantastic Brunch menu on Weekends! My husband and I thoroughly enjoyed our breakfasts, as did our friends who met us at Megalos Restaurant! Highly recommend reserving ahead a table on weekends! Super delicious food. We were 6 on Saturday prior to see the show at the Grand (also an excellent venue) and all of us had a great meal. Funny part was I was sitting at the "head" of the table and the waitress took the orders ...all except mine and walked away. When I called her and told her she missed my order she was embarrassed but handled herself very well, was quick to make a joke and we all had a good laugh. Always a great restaurant with great staff. We had an incredible dinner at Megalos and the server was outstanding. We will definitely be going back. My wife and I celebrated our Anniversary on New Years Eve with dinner at Megalos. I found this gem online while perusing through Kingston restaurants. We prefer to dine in restaurants that are not part of a chain and this was a perfect choice for us. The New Years Eve menu was fantastic with a great choice of appetizers, main course, dessert and wine pairings which were perfect! Excellent New Year's Eve dinner. Highly recommend Megalos Restaurant for a Special Occasion, 'without exception'. We reserved ahead a table for us with another couple for December 31st. Our friends loved their meals and raved about the selections specially offered that evening in the special Table d'Hôte with Wine Pairings throughout the evening. The impeccable service was of a high-end, very attentive restaurant. Thank you for the very special evening, Megalos. We always have a great time at Megalos! We have recommended Megalos to countless friends and family. We will go back there anytime! I had a wonderful time at Megalos. I had a burger that was tasty, seasoned well, ample bacon and cheese. The fries were crisp and flavourful. It was so wonderfully quiet. My friend and I were able to have a very pleasant conversation. The music level was perfect, not too loud. The service was courteous but not intrusive . The wine was wonderful. I heartily recommend this restaurant. Highly recommend having the delicious Weekend Brunch! Courteous service and attention to detail. Our guests, my wife and I, were once again, totally impressed with the high quality of food and excellent service. Thank you for a thoroughly enjoyable Sunday morning experience. Our third time eating there. Good food and close to parking and The Grand Theatre! We had an amazing waiter and the space was nice...pretty empty. The food was just ok was hoping for a more tasty meal. I had the salmon which was dry and just ok. The birthday dessert and coffee were great though. We went for Sunday brunch. Service was very attentive with multiple coffee refills without having to ask. Food was very good. I had the Florentine Eggs Benedict. Nicely cooked eggs, tasty hollandaise and not overly saucy so that flavour of eggs and spinach came through. I substituted fruit for potatoes and it was a little uninspiring, but certainly okay. My companion said the potatoes were excellent. Definitely recommend as a brunch option. Experience was very good. 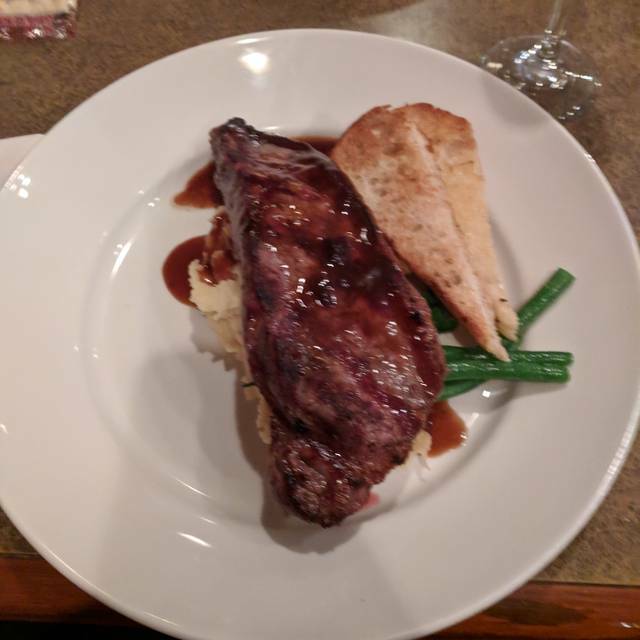 Service was excellent and the food was very good: high quality meat and produce and nicely prepared. Fantastic choices in Brunch Menu on Weekends. Highly recommend reserving seats on Sunday mornings, as always busy. Food is hot, delicious, and 'cooked to perfection'. Service is consistently outstanding as well.